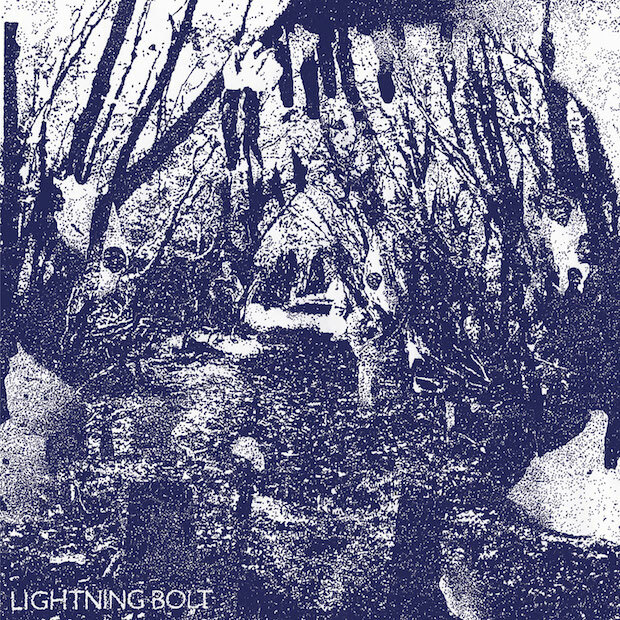 Lightning Bolt are an art/noise metal duo from Providence, RI who came to prominence by turning the volume way up at their grungy lo-fi basement shows and on the floors of bigger venues; if you are looking for melody or songwriting look else. That said it you want raw power and electricity Brian Gibson and Brian Chippendale are the people to zap it to you. The instruments are drum and bass, but the main thread is volume and lots of it. There are overdrive pedals, feedback, drum effects, muffled vocals and big swells of incomprehensible sound. This is the duos first release for Thrill Jockey and a step up in quality over their notoriously lo-fi past, that said don't expect a lot of cohesion or clarity and that is perfectly OK in these waters. "The Metal East" opens the huge double LP Fantasy Empire with screeching bass that sounds like a guitar crashing over slick popping drums, running four plus minutes the track has a heavy metal ebb and flow to it. Gibson has been quoted as saying he hates the label noise punk, and here the duo really toss a lot of that off in favor of incorporating classic metal tropes into their style. A number like "Dream Genie" rambles on and allows Gibson to solo in a way that Dave Mustaine would be proud of while "Horsepower" is full metal complete with a slight breakdown. All the tracks run long here (again a metal trait) and some can punish the ears, like the start stopping buzz-sawing of "King of My World" but the when things work like the industrial creeping "Mythbuster" which explodes into powerful and rhythmically focused ending, you don't want the aggression to stop. Some negatives lie in the drum sound which at times comes off weak, programmed and thin especially next to the fuzz bass. Also with a group like this it is always frustrating when it comes to vocals and lyrics. If they were just relegated to yelps/screams and colorful additions to the sonic palette that would be fine, but it is obvious that Chippendale is saying something, what that is doesn't matter because it is completely unintelligible. The closing track, "Snow White (& The 7 Dwarves Fans)" is the most exploratory, opening with a mellow intro, progressing into the depths of chaos then grooves and finally collapses at the finale of it's eleven minute journey. As Fantasy Empire is a step up in all directions for Lightning Bolt, ending on an exhilarating high note hints at even more quality cacophony to come. Thanks NPR for cluing us into these guys. Again we love this stuff and realize it isn't for everyone...but if you dig on some noise, check it out.